They say somewhere in the forests around these parts you might come across a strange clearing where the earth is completely bare, in the shape of a near perfect circle about forty or fifty feet across. This is the Devil’s Tramping Ground, the one place in this world where the Devil can truly be alone. Not even his demons dare to disturb him when he’s in this ring, for here he paces back and forth plotting mankind’s destruction, or he dances and twirls and stomps his feet—which is why the earth is so barren and packed down. You will know it’s the Devil’s Tramping Ground because no plants can grow inside it, and no animals will dare to go near. Birds won’t even fly above it. If you leave something in the circle and come back the next day, you’ll find it somewhere in the woods nearby, as if it was flung out of the way with great force. It doesn’t matter how heavy it is. 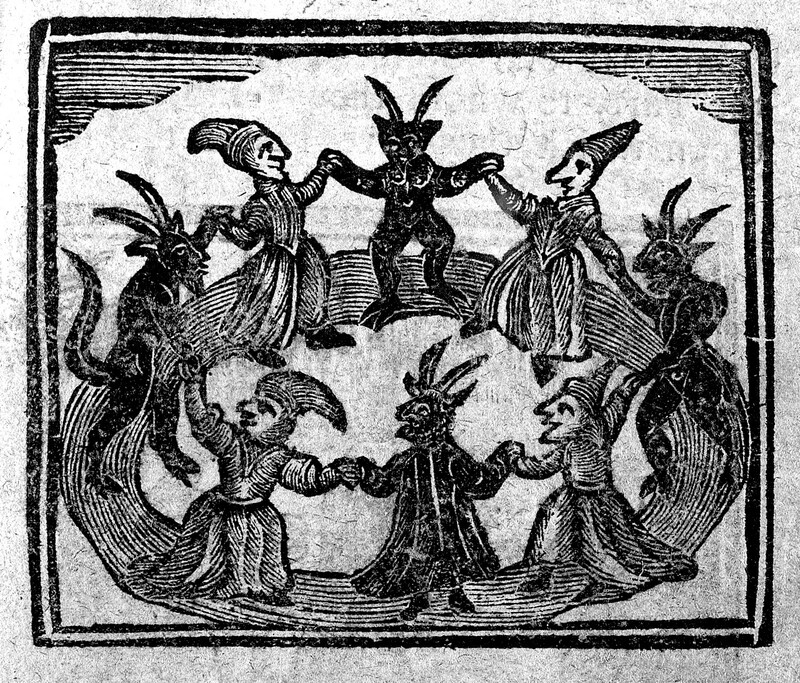 The Devil doesn’t like things getting in the way of his dancing. And whatever you do, don’t stand in the circle after nightfall, or you might just see a pair of glowing red eyes staring back at you from its center. Grace writes, "I grew up in Monroe, North Carolina, in the suburbs about thirty minutes outside of Charlotte. The first story, about the Devil’s Tramping Ground (Bear Creek, NC), was one I heard frequently at slumber parties or told around campfires as a kid in the ‘90s. I’ve found out in recent years that it’s an actual place you can visit, about 50 miles outside of Greensboro in Chatham County. But growing up, I never knew that. When I heard the story, it always sounded like the sort of place you might come across by chance when walking alone in the woods." 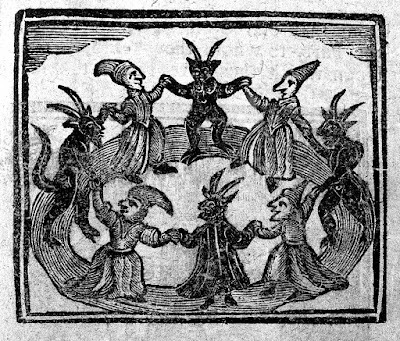 Image: The History of Witches and Wizards, 1720, Wikimedia.